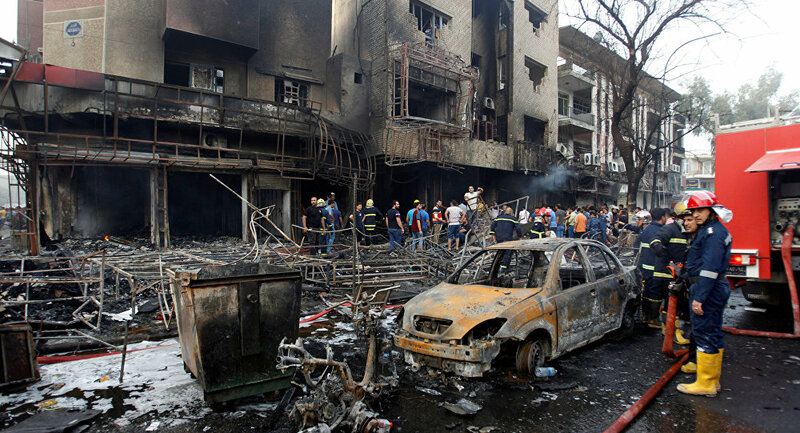 MOSCOW (Sputnik) - At least five people were killed and 32 more wounded in a car bomb explosion in northern Iraq, local media reported citing the Iraqi Health Ministry spokesperson said on Wednesday. According to the Alsumaria broadcaster, the blast hit a restaurant north of the city of Tikrit. — EY4P (@ey4_p) 12 сентября 2018 г. — صقر الدعوه (@saqr55544) 12 сентября 2018 г. No terrorist group has announced that it was behind the deadly attack, however Daesh* is frequently involved in similar attacks.